Sam Curran has revealed he was not aware he had completed an Indian Premier League hat-trick in the heat of the moment. 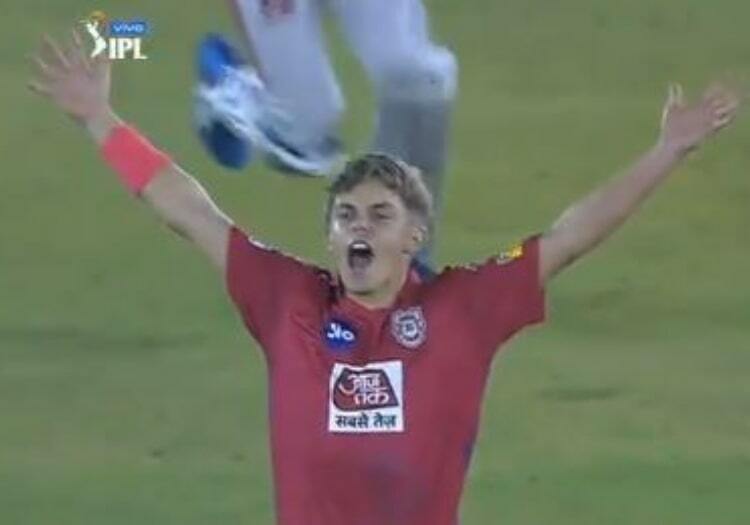 The 20-year-old wrapped up victory for Kings XI Punjab by claiming the final three wickets of the Delhi Capitals innings - those of Harshal Patel, Kagiso Rabada and Sandeep Lamichhane - but his treble was split across two overs. Therefore, the England allrounder was oblivious to his achievement until the game had come to an end. "No, not at all," he said when asked whether he knew he had completed the feat. "My main focus was obviously that last ball when Rabada came and I knew his strengths and where I could bowl, so I was always aiming for his stumps and his toes. Curran finished with 4-11, having earlier claimed the crucial scalp of Colin Ingram, as Kings XI chopped Delhi down from 144 for 3 to 152 all out to win by 14 runs. "I think we were very lucky that (Mohammad) Shami changed the game when he got (Rishabh) Pant out," Curran said. "I think they needed 30 off 28 balls, coming towards the end of the game it was almost gone, but the boys showed a lot of fight and the way Pant plays he's a very aggressive batsman. "Very lucky go get him out at that stage and Ravichandran Ashwin's run out first ball was a huge turning point in the game... we know what (Chris) Morris can do."